All Sonoran Ranch Villages homes currently listed for sale in Tucson as of 04/23/2019 are shown below. You can change the search criteria at any time by pressing the 'Change Search' button below. 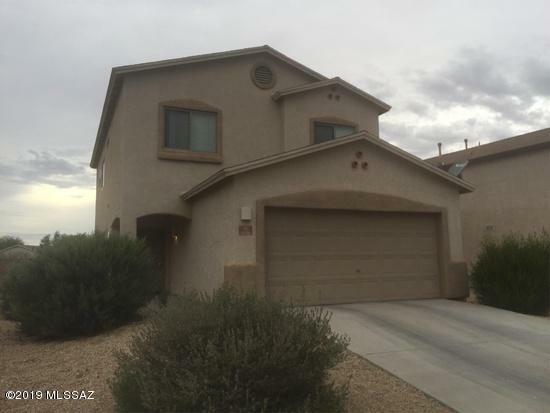 "Beautiful and very Spacious 2 Story house with 4 bedrooms 2.5 baths, bonus room/Den, Great room, open kitchen with breakfast bar, 2 car garage, beautiful large back yard with great views and open section of land behind lot. This Home has much to offer, loads of natural lighting, large bathrooms, large bedrooms, the 1st floor has a half bathroom and a den with french doors. Entire house has been freshly painted, all new TILE floors, NEW fridge and gas stove. Unique feature: -Huge yard that backs"